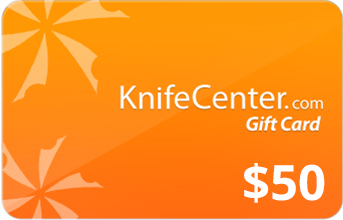 Small and robust, equip yourself for any ride with 5 essential tools in 1 compact case. The Bike Tool is the perfect companion for cyclists or leisurely bike riders. Weighing in less than 3.5 oz., it won’t add unnecessary weight to your ride and the rounded edges provide protection against injury. 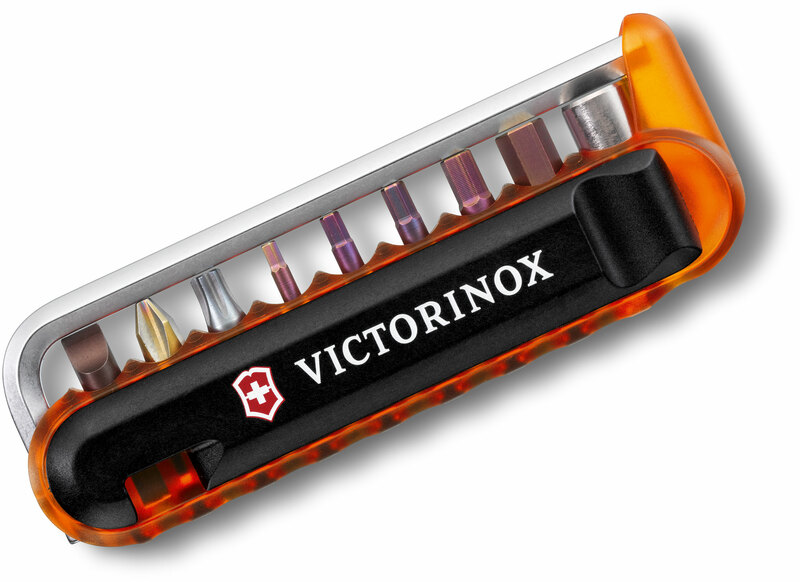 The Victorinox Swiss Army Bike tool is crafted of the same quality craftsmanship and swiss-precision you have come to expect from us. Featuring five essential tools, the bike tool is the perfect roadside companion for the serious cyclist or the weekend bike rider. 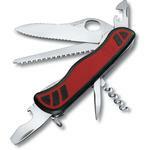 Product is excellent and typical Swiss Army quality. 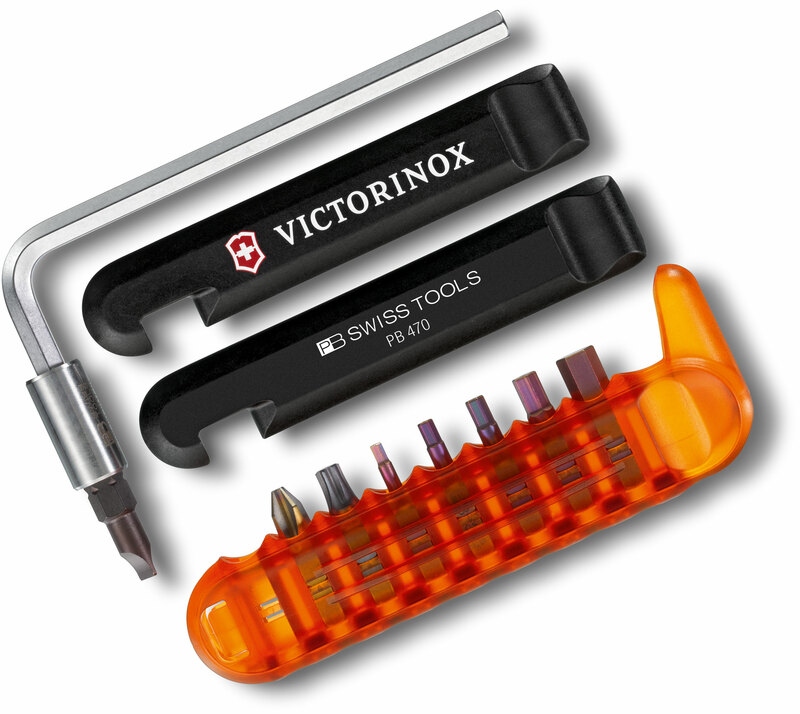 Light weight and compact the Victorinox Swiss Army Bike Tool has eight industrial quality bits. the stainless steel adapter is quarter inch drive so with the help of a drive adapter quarter inch drive SAE and Metric sockets can be used with this tool. The stainless steel adapter really keeps the bits securely held and as an added bonus it is magnetized. The sides of the tool are easily removed and become tire irons so to speak. The tire removal handles are shaped in such a fashion that they are very easy on the tire and tube. Pinching and or cutting of either the tire or tube won't happen with this bike tool. The L shaped handle is a hex wrench also and readily attaches to the adapter to make short work of either removal or installation of the fastener in question. 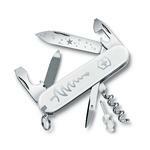 In pocket or pack the Victorinox Swiss Army Bike Tool should be with you when hitting the next trail. 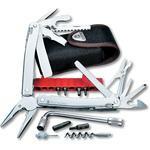 If one would like to carry the bike tool on the belt; the Swiss Tool pouches fit this tool. Hey, I wanted to share "Victorinox Swiss Army BikeTool" with you from KnifeCenter.